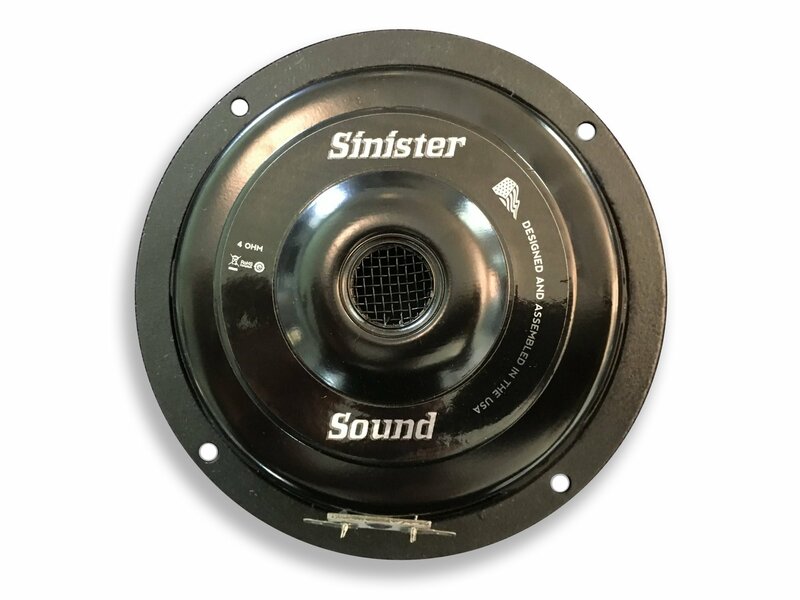 SinisterSound 14-up tour pack speakers. One pair. 6.5" neodymium woofers, with crossovers. Neodymium magnet, 1.5" voice coil. 94 db sensitive, 1w/1m. Price is for one pair.